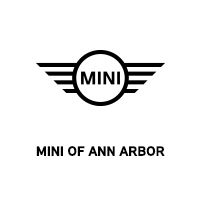 At MINI of Ann Arbor, our aim is to provide a buying experience as unique as your new MINI vehicle. Whether you’re interested in a MINI Cooper Hardtop 2 Door, Countryman, Clubman, or Convertible – our staff of expert MINI Geniuses are here to help you find the MINI vehicle of your dreams. With our extensive lineup of New MINI and Certified Pre-Owned vehicles, there’s sure to be one which perfectly fits both your lifestyle and budget. You can count on our MINI finance experts to help you select the best lease or financing option — no matter your budget or credit situation. We have the latest incentives, lease specials, and finance rates to help maximize your savings. If you’re searching for MINI service or maintenance, our state-of-the-art Service Center is equipped with factory-trained MINI technicians that know your vehicle better than anyone else. Whether through email, by phone, or in person, we’re here to help you get the world-class MINI experience you deserve.